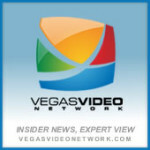 Welcome to the live streaming video page of the Vegas Video Network. One of the especially enjoyable parts of our live shows is the ability to join in our live chat. Simply click the little pencil icon, enter a username, and join in the conversation. It’ll be fun, we promise! !